Nothing has called me to lean into my mindfulness and soul therapy practices more than my fertility journey has. I am reminded frequently why creating space to center myself when life is chaotic is so necessary for my wellbeing. One tool that has been helpful in doing so is a mala or set of prayer beads. Prayer beads have been used for centuries in various cultures and different religions – the rosary in Catholicism, the mala in Buddhism and Hinduism, the komboloi (worry beads) used by the ancient Greeks, to name a few. When you scratch beneath the surface, it is interesting to discover that the word ‘bead’ in its original form actually means ‘prayer’. It is derived from the old English and Germanic words ‘bede’/ ‘gebede’ / ‘bid’, which mean to ‘bid one’s prayers’ or ‘to pray’. So, it seems that for thousands of years something as simple as a string of beads was intended to be used as a tool for sacred conversations, mindfulness, to calm anxiety and anchor one in the present moment. My first introduction to prayer beads was from my grandmother. I grew up watching her devotion to her daily spiritual practice. Each morning upon waking and each evening before bed, she carved out time for her prayers and meditation. As a kid, I was fascinated by her use of prayer beads as a means to mindfully hold her focus on whatever it was that she was meditating about. There seemed to be something deeply sacred in bearing witness to her state of communion with Spirit, gently rubbing each prayer bead between her fingers as she quietly whispered her holy bidding to Mother Mary, often contemplating the divine nature of the feminine experience – the joys and sufferings of both womanhood and motherhood. In my teens, the beautiful nun who gave me religious instruction classes once a week gifted me my own set of prayer beads. It was a rosary from Fatima, made up of pale green beads that glowed in the dark at night. It always made me feel safe. When I was overcome with fear or anxiety at night, I’d hold it in my hand, still my thoughts and bring my attention to the vibration of love, joy and the feeling of being protected by my guardian angels. It restored my sense of security and put me at ease. To this day, I still keep that rosary at my bedside together with my mala beads. Although my growth and spiritual development has allowed me to explore various paths to presence and inner peace over the years, this is one practice that continues to play a positive and healing role in maintaining my peace of mind. I recently had a rose quartz and moonstone mala custom-made specifically for my fertility mindfulness practice. I’ve had wonderful experiences using crystals for my meditation and healing journey. I’ve heard so many positive stories about the use of fertility crystals, and have personally felt the benefit of working with them to balance my energy or using them as intention stones. So the idea of using fertility crystals in my mala really resonated with me. I’ve quickly fallen in love with my fertility mala. It came in a beautiful pink satin pouch that I’ve filled with dried rose petals from my garden and scented with two drops of rose essential oil. It always feels deeply soothing to hold a string of mala beads between my fingers or to wear it around my neck, harnessing in the energy of the crystals. When I rub the individual beads softly, I focus my attention on my breathing – inhaling, exhaling and allowing myself to quietly release the cluttered thoughts that crowd my mind – the constant worries about supplements, bloodwork results, OPKS and never ending appointments. With every breath I take, I sense myself relaxing more completely and becoming more grounded in calm. I close my eyes and whisper gratitude prayers, mindfulness mantras or fertility affirmations into the ethers in the same way that my grandmother does. The doubt and the fear start to dissipate when I do. I find myself leaning inward, enveloped in the warm comforting essence of stillness and somehow remembering how to trust in myself, how to trust my body and my journey in the midst of uncertainty and frustration. Find a quiet place to sit down comfortably and become centered, calm and present. Hold the mala in your hand and drape it between your middle and index finger. Place your thumb on the first bead, bearing in mind that you will use your thumb to count the beads when work your way along the string. As you exhale, visualize releasing doubt and fear from your body and your mind. Move your thumb to the next bead on the string and repeat the visualization as you do: Inhale hope and positive energy, exhale doubt, stress and fear. Then move on to the next bead, allowing yourself to relax, surrender as you continue focusing on the rhythm of your breath and visualization. Place your thumb on the first bead. Take a moment to meditate on what it will feel like when you are pregnant or are holding your baby in your arms. Draw this wonderful feeling into your mala meditation. Visualize the experience of a healthy full-term pregnancy and the motherhood drawing closer and closer to you with every breath as you work your way along the string of mala beads. Monday greetings to you! It’s new day and new week, and tomorrow the vibrant full moon will grace us with her luminous feminine beauty. Are you finding ways to keep breathing and to nurture yourself as you put one foot in front of the other, one day at a time? I hope so. 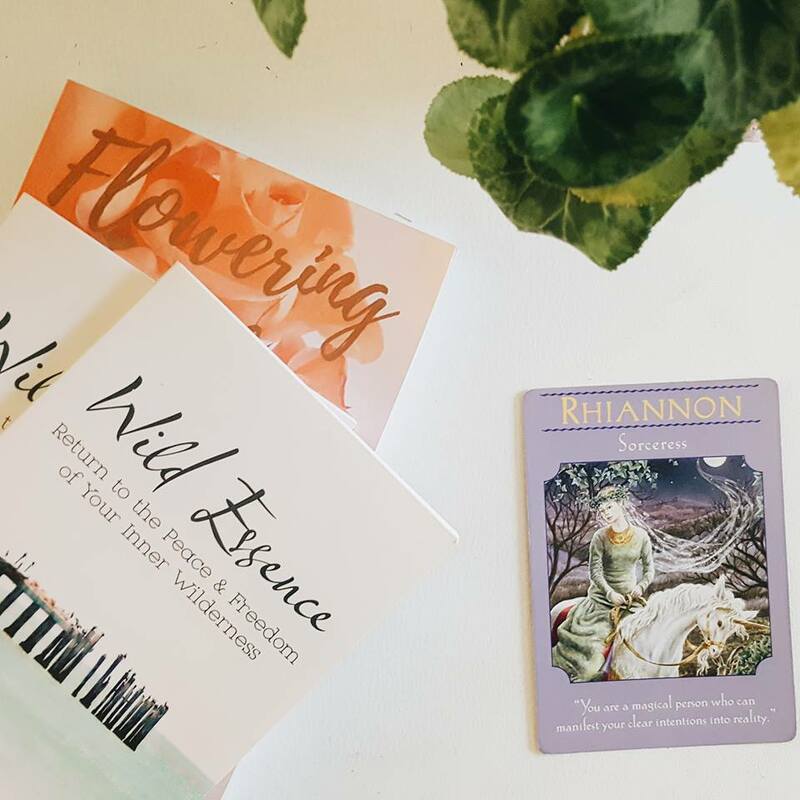 3 Ways to Tend to Your Inner Wellbeing: One key lesson that my personal experience of fertility challenges has taught me is that tending to your inner self is just as important as nurturing your body’s health and wellbeing when it comes your fertility journey. 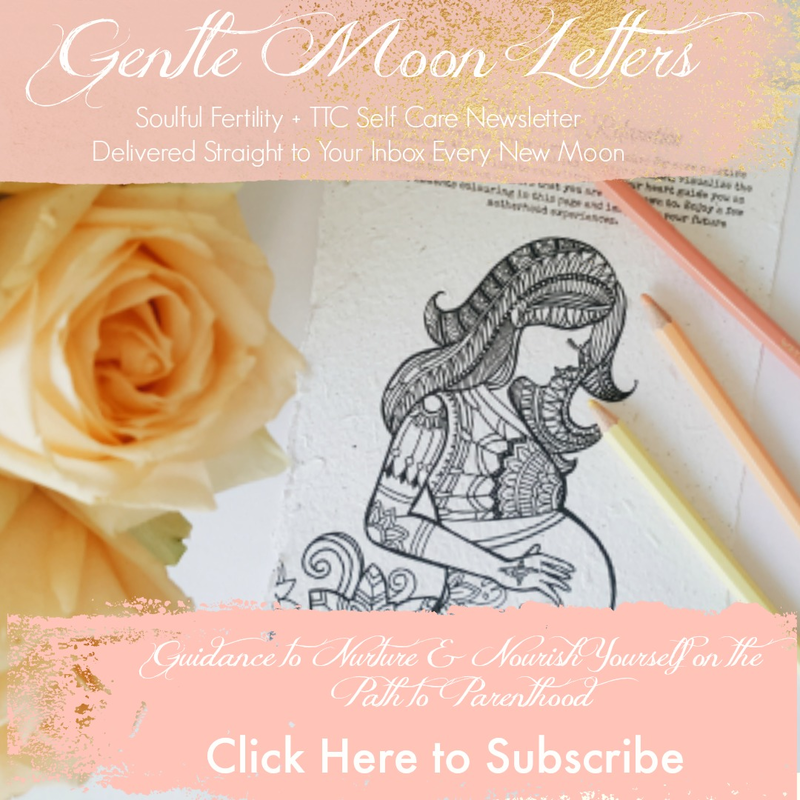 With this in mind, I recently wrote an article for Fertility Road Magazine offering three ways in which you can work on taking care of your inner world and supporting your emotional wellbeing when the going gets tough…Click to Read the Full Article. Sit down comfortably with a cushion on the floor or a bed with your partner. Facing one another, look into each other’s eyes. Hold hands or let your palms touch. Take a few deep breathes in and out, relaxing into one another’s presence. Breathe into your heart space, connecting with the vibration of love. Visualise loving energy pouring out from your heart and flowing into your partner’s as you keep breathing, in and out. Think of the ways in which you like to express your love for them, how happy this makes them feel and continue to send them loving energy for a few moments. Now shift your attention to receiving the out pour of love from your partner’s heart space. Allow yourself to receive. Think of your favourite romantic memory or something that they did to make you feel loved and appreciated. Then set the intention to remain open to receiving, as well as receiving more of the same as you journey together.